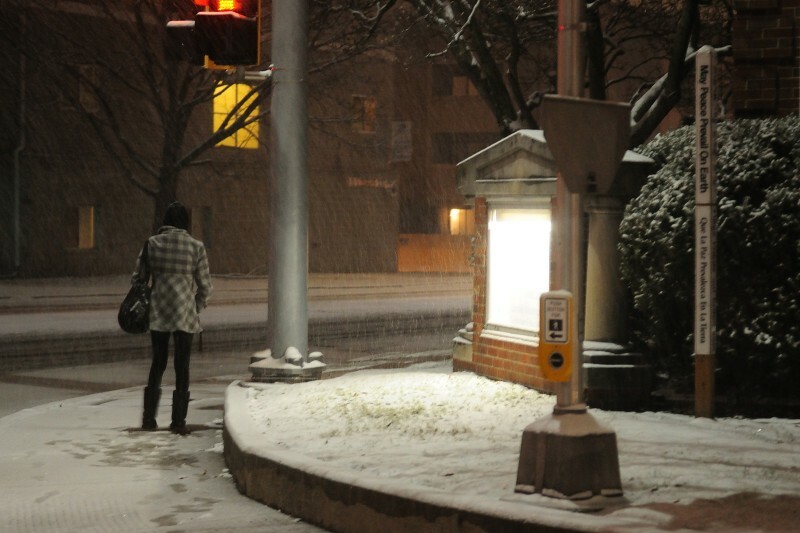 There are times I'm glad I'm no longer a college student, waiting in the falling snow for the bus to come. OK, I'll admit I'm too old to even think about being a college student anymore. I guess living near the college makes you feel younger all the time. Oh wow Shirley. That's a beautiful picture. The lighting, the mood...takes me back to my college days near Chicago. As my father would say, "It builds character." It looks like wet sticky snow. Great capture. Great capture! I'm glad I'm not a college student anymore too!